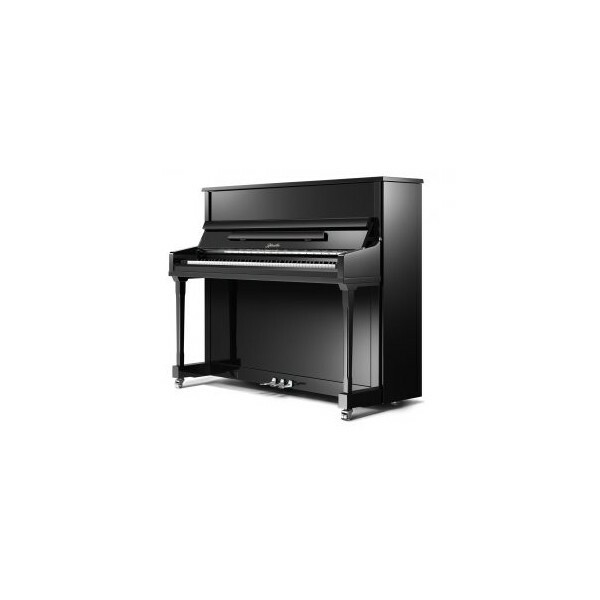 A Ritmüller upright piano model Professional P122 by Pearl River finished in black polyester with chrome fittings. This instrument has a responsive action and overall mellower tone suitable for intermediate players. It has a crisp and clear treble with a powerful bass and represents outstanding value. 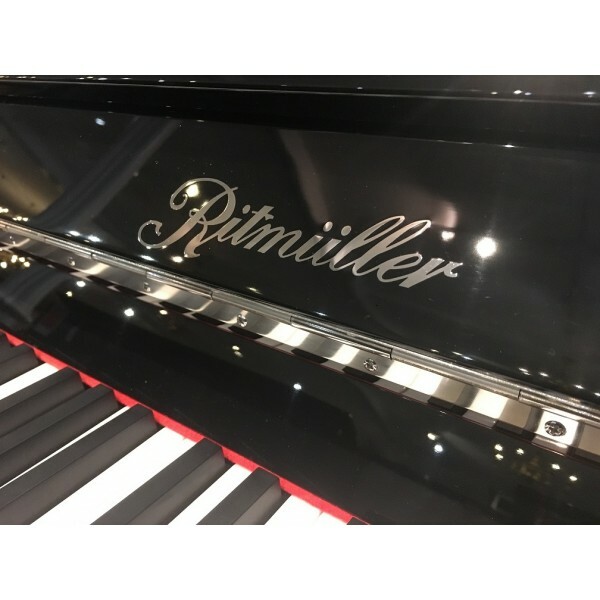 Ritmüller pianos are made by Pearl River in their state of the art climate controlled factory in China. Using high-quality European materials and solid engineered spruce soundboards, this lends there instruments a fine European tone. Build to withstand heavy and professional use, the P122 has a powerful sound and an impressive dynamic range. Complete with a slow-fall system. Delivery charges may apply depending on degree of difficulty and location. However, ground floor delivery is typically included provided access is straightforward - enquire now for details. This piano is available to try in our showroom with many other pre-owned and new instruments to compare. We usually have in stock over 40 new grand pianos, over 70 new upright pianos and an ever-changing supply of around 40 pre-owned acoustic pianos; we are definitely worth a visit!